Floyd Ingerick, age 92, of Wellsboro, PA, passed away on Sunday, July 1, 2018 at the Geisinger Medical Center, Danville, PA. He was the husband of the late Jean P. (Boyce) Ingerick, they shared over 60 years of marriage together prior to her passing in 2008. He was born on April 28, 1926 in Wellsboro, the son of the late Ross and Charlotte Ingerick. Floyd proudly served in the United States Army during World War II from 1944 until 1946, after which he was honorably discharged due to wartime injuries. He and his wife owned and operated two successful restaurants in the Wellsboro area, the Chick-A-Rama and the Ingerick Diner. He was also employed as a farmer, Corning Glass Works associate and a laborer with Dresser Manufacturing prior to starting his own business. Floyd served as a member and an elder at the Mt. Zion Full Gospel Church of Wellsboro. He enjoyed carving wooden figurines, especially those he gave as gifts to his family. 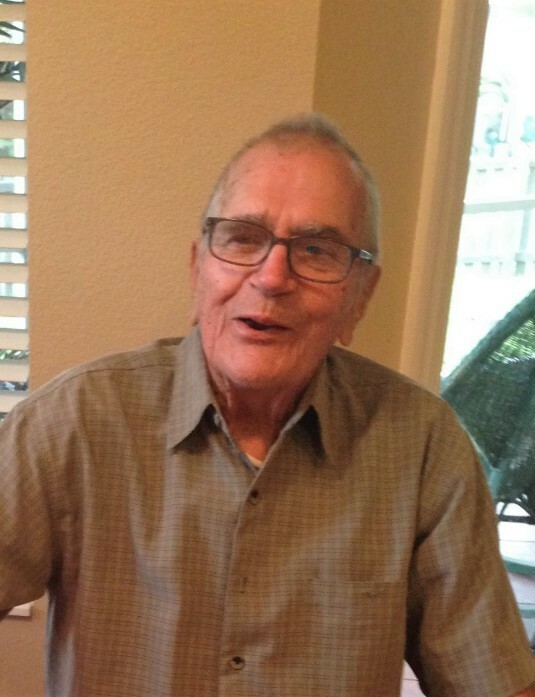 He was described by family and friends as a laid-back, easygoing gentleman who loved to sing the gospel. Left to cherish Floyd’s memory are his sons and daughters-in-law, Gary and Jeanne Ingerick of Florida, Phillip and Lori Ingerick of New Columbia, PA, Tom and Pam Ingerick of Wellsboro, PA; daughter and son-in-law, Carol and Rob Dennis of Cyclone, PA; 12 grandchildren; several great and great-great grandchildren; two sisters-in-law, Helen Boyce and Mary Grinnell; several nieces and nephews. In addition to his beloved wife, Jean, Floyd was preceded in death by all eleven of his siblings. He was the youngest of the twelve children. In lieu of flowers, memorial donations can be made in Floyd's name to the Mt. Zion Full Gospel Church, 7 Mt. Zion Road, Wellsboro, PA 16901. Family and friends are invited to pay their respects on Saturday, July 7, 2018 from 10 – 11 a.m. at Tussey-Mosher Funeral Home, Ltd., 139 Main Street, Wellsboro, PA 16901. Floyd’s funeral service will immediately follow visitation at 11:00 a.m., with Rev. Mike Olmstead and Rev. Gary Ingerick officiating. Burial will take place in the Niles Valley Cemetery with military honors provided by the Tioga County Honor Guard. To share your fondest memories of Floyd, or to sign his guestbook, visit www.tusseymosher.com.